Beef Pastrami is a deliciously cured meat, often served in thin slices. 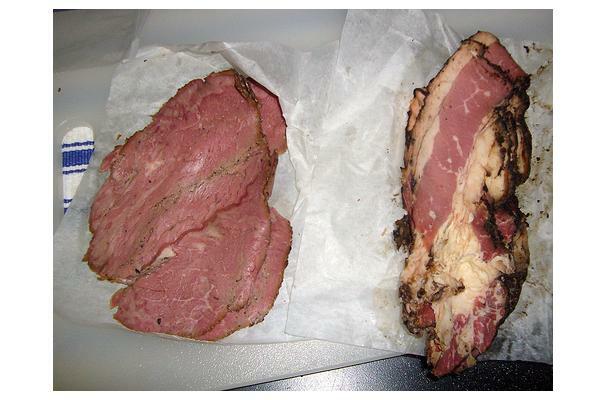 It is made by first curing beef brisket in brine (corned beef) and then smoking it for added flavor. Beef Pastrami can be made at home or bought in the store, and goes well in sandwiches.